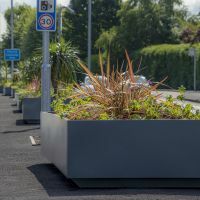 Bespoke powder coated steel planters are commissioned for a highways improvement scheme in Warrington, Cheshire. 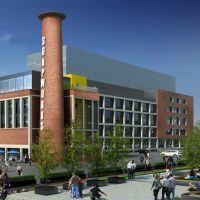 Bespoke powder coated steel planters are commissioned for the iconic Soapworks office redevelopment at Salford Quays, Manchester. 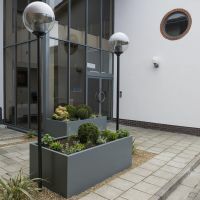 Bespoke powder coated steel planters are commissioned for the refurbishment of a premium office park in Bracknell. 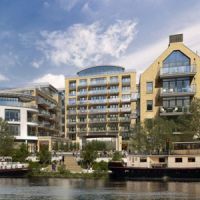 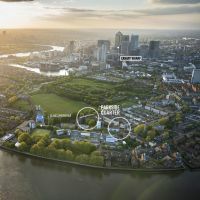 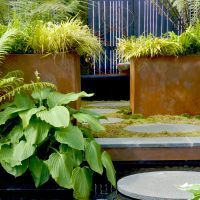 IOTA’s Boulevard planters are selected for Berkeley Homes’ landmark Kew Bridge development. 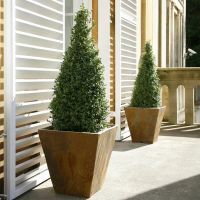 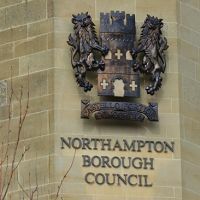 Extra large bespoke granite tree planters are commissioned for a prime location on Guildhall Road, Northampton. 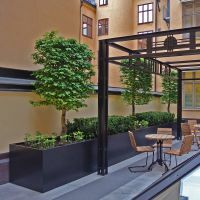 Bespoke powder coated steel planters were commissioned for Telford Homes’ new PARKSIDE QUARTER development, London E14. 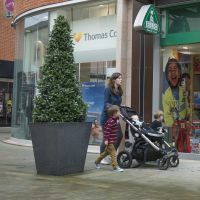 Granite street planters are selected for Fremlin Walk shopping centre in Maidstone, Kent.